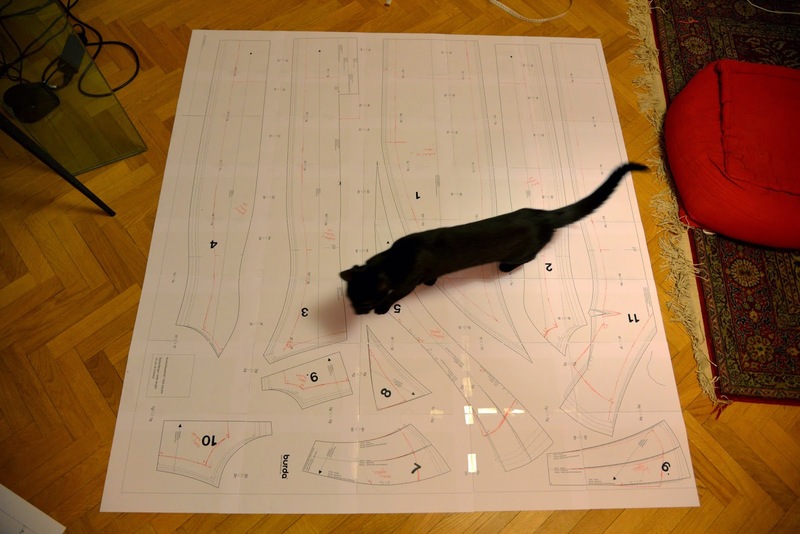 My sewing is completely blocked by muslining a dress for a wedding I will be attending in June. (My blogging, though, is blocked by the missing photo shoots of the last 2 project, but hopefully coming soon). 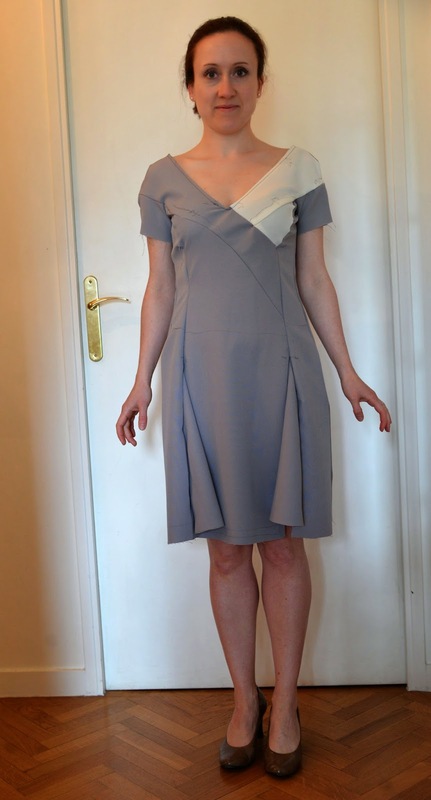 I was thinking of sewing a dress for the occasion from the beginning, even though my original idea was a 1950’ dress in lila or similar colour. However, in February I bought a great fascinator (in dark blue), so the dress needed to be adapted. 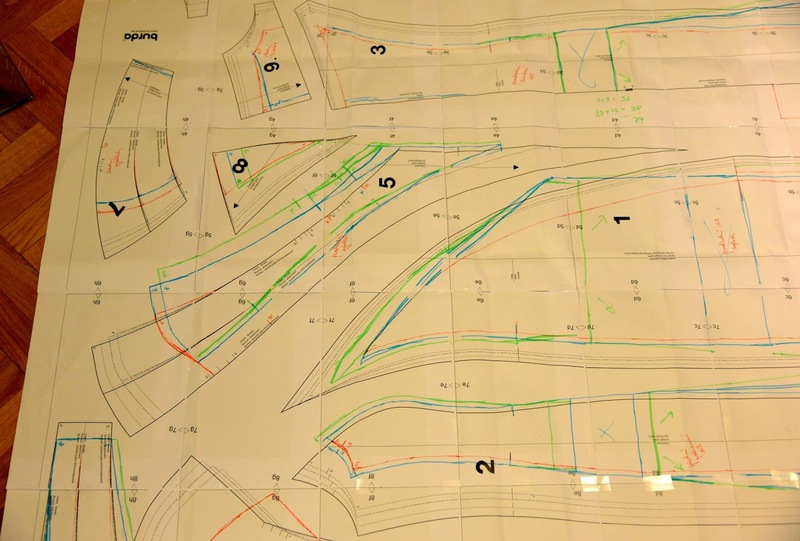 As for the pattern, I fell in love with the Burda 139-02/2010, the problem being this pattern only comes in large sizes (European 44-50), knowing I usually cut Burda’s 34. The muslin 1.0 was too narrow (it is not even zipped up in this picture), too long (see where the point on the left side is going?) and too large in the shoulders. After a few alterations I at least managed to slip in correctly, however, the muslin 1.1 shows big changes still to be made in the waist area and on the shoulders. 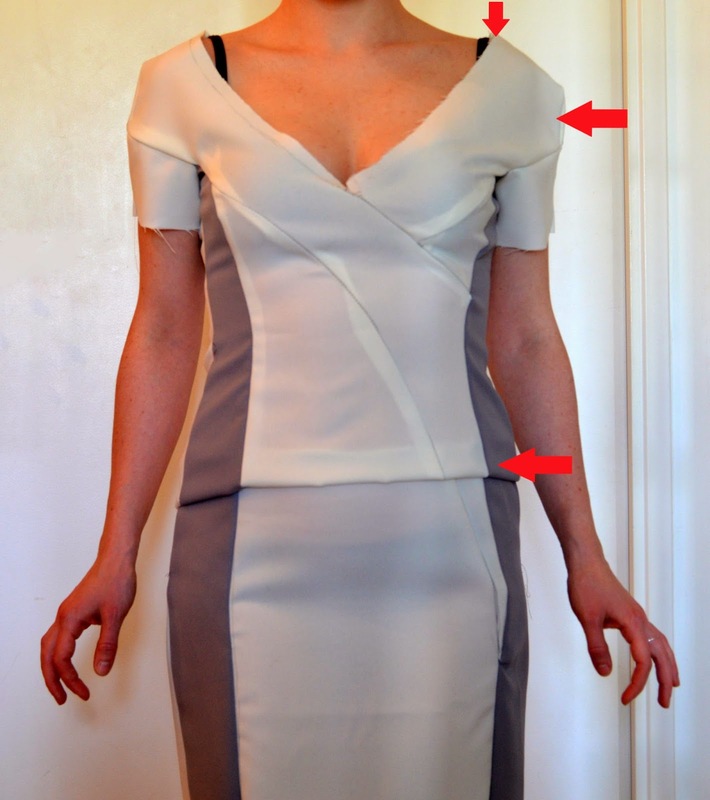 And the muslin 2.0: fitting gets better even though not perfect yet and I am opening a debate whether to keep the narrow skirt (best seen on the 1.1 version) of the original model or whether to make a larger one. I am afraid my consultants are largely being influenced by the different colours of the muslins, especially the panel effect on its first version. 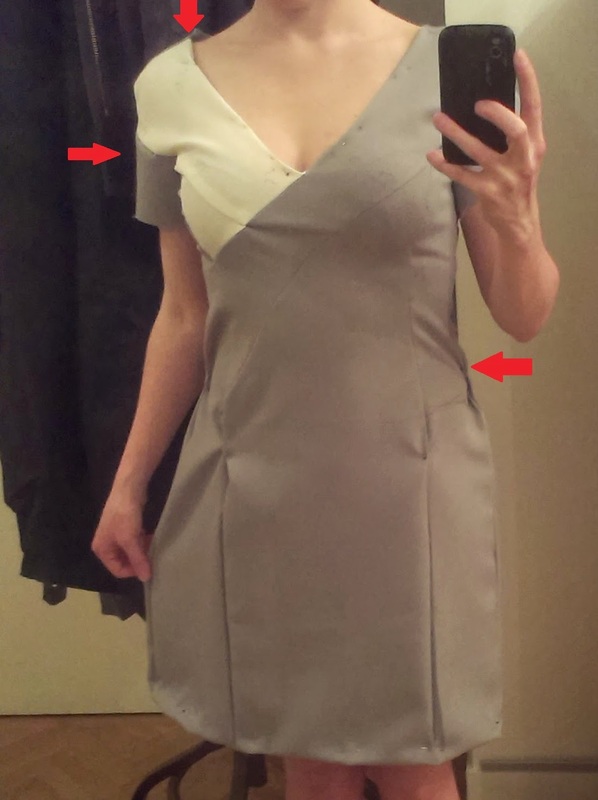 Also, the stiffness of the muslin fabric is quite far away from the silk crepe I will be using on the final dress. 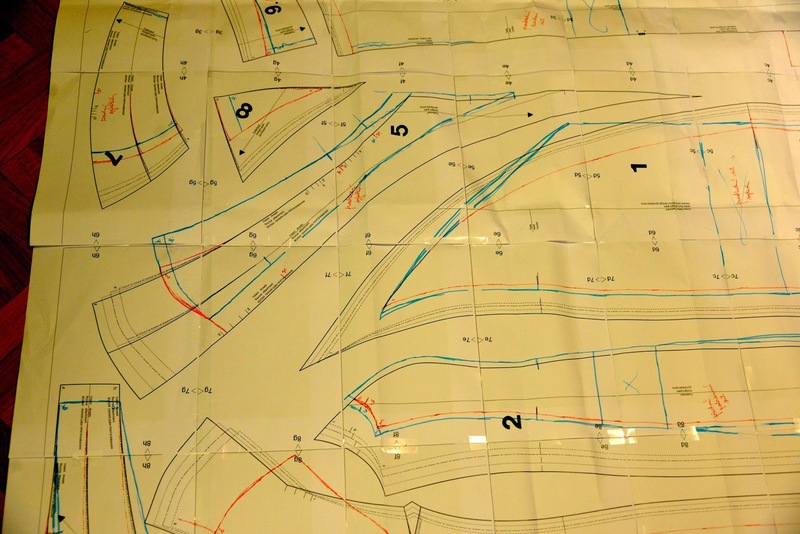 The good question is why do I need to prove my point of view – I will be sewing and wearing the dress in the end. 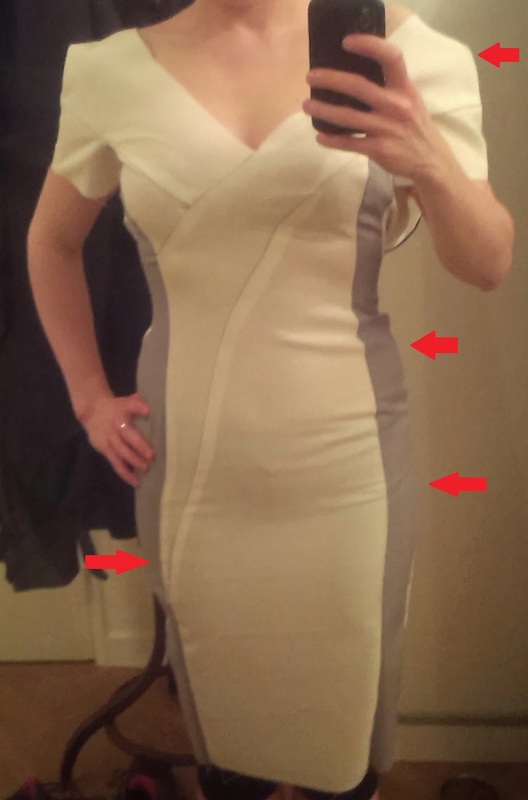 Hopefully any time soon I will get to sew the final dress, as I do not want to start creating UFOs and at a certain point of time also need to see the result of my work.